Bigtincan, the leader in mobile, AI-powered sales enablement automation, announced the acquisition of training and enablement platform Zunos, to launch the industry’s most comprehensive Enablement Platform for sales, service and partner/channel teams. In the digital era, workforce training and development is critical for businesses looking to strengthen employee retention and ultimately drive ROI. Bigtincan’s sales enablement platform, combined with Zunos’ mobile-first, learning, and onboarding, is ideally positioned to deliver a gorgeous learning experience. Together, Bigtincan’s Hub and Zunos’ micro-learning platform will arm sales teams and partner organizations with the skills and knowledge needed to drive effectiveness and performance in an increasingly competitive economy. “Bigtincan is excited to welcome the Zunos team to our family,” said David Keane, Co-founder and CEO of Bigtincan. In addition to Zunos’ learning capabilities, this acquisition also adds household name customers American Airlines, Sony PlayStation and Telstra to Bigtincan’s global customer base. Additionally, Zunos brings its market-leading IP, new channel partners and world-class talent to the combined business. “Zunos’ technology improves the performance of individuals by taking learning and skills development to the next level, truly engaging people with a unique learning experience,” said Stefan Teulon, CEO of Zunos. As part of the integration, Bigtincan will leverage Zunos’ expertise to shape its comprehensive learning platform in the Bigtincan Hub, focusing on micro-learning strategies to ensure retention, gamification to boost engagement and partner enablement to ensure holistic dissemination of content and knowledge across partner teams and organizations. According to a recent report from SiriusDecisions, sales learning and coaching helps sales enablement create, deliver and manage opportunities critical to the success of the sales teams. The report goes on to discuss how sales learning and coaching delivers a number of important benefits, including faster time to competence, as well as providing individuals with confidence and improved learning retention. 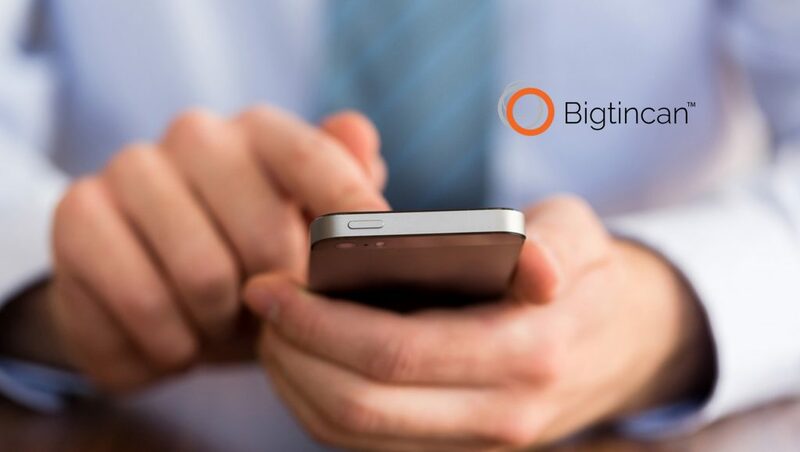 Currently, Bigtincan helps sales and service teams increase win rates and customer satisfaction. The company’s mobile, AI-powered sales enablement automation platform features the industry’s premier user experience that empowers reps to more effectively engage with customers and prospects and encourages team-wide adoption.